6 What is carry-on luggage? The own luggage and cabin baggage is the most important travel companion. In it everything is ideally contain what you need for the journey. Whether for the business traveler or the budget traveler: quality, features and price play a major role in the purchase decision of luggage. 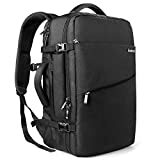 On this page you will find detailed information, product ideas, manufacturer interviews, reviews and deals in order to get high-quality luggage and hand luggage at a reasonable price / performance ratio. Through deals and bargains can save a lot of money in luggage, hand luggage suitcases and trolleys. A list of all current test reports for hand luggage is here. Depending on the application, there are different requirements on quality and functions of luggage and hand luggage. Here you find an information and recommendations on suitcase and trolley, toiletry bag and camera bag. There are different rules for hand baggage and passengers at the airport during the security check. There tips and information to hand luggage, accessories and a carry-on comparison. Carry-on luggage is luggage that can be taken into the cabin during the flight by the passenger. This is usually limited to one carry-on per passenger and is subject to certain rules, such as weight or size limitations. With four wheels instead of two, a luggage can be manoeuvred more easily. Also, if a wheel breaks while travelling, you can still handle the trolley with three remaining better than with just one. It is also very handy if the wheels can be exchanged. Whether you prefer a hard or soft shell is a matter of taste. Meanwhile, both types and their materials are similarly stable and fall-proof. Of course, if transportation is delicate and expensive, you should use a hard shell with maximum stability and internal cushioning. The extendable telescopic handle of the luggage should be long enough for the respective body size. The luggage should not constantly hit them while running from the back to the heel. The material for the cabin luggage should be as light and durable as possible. For hard-shell cases you can choose between aluminum and various high-quality plastics (Curv, ABS, polypropylene, polycarbonate). The most innovative plastic is curv. This is extremely light, unbreakable and abrasion resistant. It is made from a polypropylene film that is cut, heated and stretched in so-called “polypropylene tapes”. Subsequently, a fabric with several layers is formed from the threads. The trolley is then formed from the fabric. For soft luggage there is a choice between polyamide (nylon, nylon) and leather. In the design of luggage, there are sometimes significant differences. Rimowa’s luggage, for example, offers an unmistakably confident and stringent aluminum design with notched lines that guarantee stability. Especially the trolley made of raw, undyed aluminum have a certain cult factor and recognition value, but are also correspondingly expensive. In general, the more sophisticated and perfected the design, the more expensive. 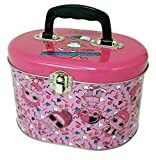 A good value for money offer, for example, titanium or capital city suitcase. The more noticeable and personalized the luggage, the faster and easier it can be found at the baggage claim. With a bright color or an unusual print this can be easily guaranteed. Which rules apply for on-board luggage? The weight for hand luggage is limited by most companies on board. It varies from a maximum of 6 to 12 kilograms. The exact weight can always be found on the website of the respective airline or in this article. For flights departing within the EU, the passenger must comply with different fluid regulations. Thus, each liquid container may hold only a maximum of 100 ml. Furthermore, a total of only a maximum of 1 liter may be carried. In addition, all liquid containers must be packed in a clear and resealable bag. Per person a bag is allowed. What is allowed in the hand luggage and what not? Goods purchased in a Duty Free shop at the airport or on an aircraft of an airline may be taken by the passenger through the security check if they are in a transparent bag sealed by the sales force. An externally readable receipt with sales date and place of sale must be included. The bag must remain closed and sealed until the end of the last leg. Here on flightstar.net various baggage items are extensively tested and created each test reports, which deliberately keep short in order to waste no time. It always the pros and cons and a conclusion, for whom the said luggage is suitable, written. 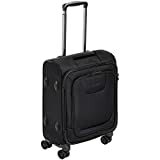 To get an overview of the travel trolleys and hand luggage cases presented here and to be able to compare the luggage directly, this comparison table of carry-on luggage offers itself. Here is the comparison for hand luggage case. 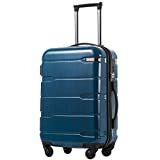 A list of bestsellers is a great way to find out when it comes to purchasing a carry-on or travel suitcase. Because of the wide range of different trolleys, it is not always easy to make a choice. Depending on the budget, equipment or travel time you have to make a choice which trolley is the best for the trip. A good guide is to look at the bestsellers on Amazon. 【Large Capacity】The dimensions of the backpack are 18.9 x 11.8 x 7 inch(48 x 30 x 18 cm). You can carry it onto an airplane. Sufficient room for a 15.6” laptop and clothes for a short trip. 【Ingenious Structure】Main pocket x 2, laptop compartment x 2 (fit for a 13” tablet and 15.6” laptop respectively), change pocket x 2, toiletry bag x 1, and many other pockets for different purposes.